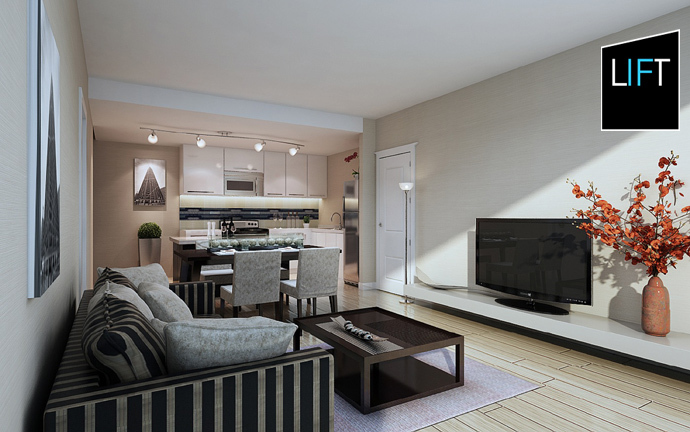 « ELIZABETH by MOSAIC > Exclusive West Side Vancouver Condos for Sale from $399,900! New Vancouver ELIZABETH Condos Across from Queen Elizabeth Park! OWN A NEW CONDO FOR LESS THAN $100,000! Introducing the new Abbotsford LIFT Condominiums! Say what? A NEW CONDO in the Lower Mainland for less than $100,000? Come again? Yes, you will love life at LIFT Abbotsford Condos! Introducing the most affordable yet modern and well finished homes in the Lower Mainland real estate market right now! Here are the affordable Abbotsford LIFT Condominiums set to launch presales very soon! With brand new residences starting from an incredibly priced $98,600, you can really own a new Abbotsford condo for less than a typical car loan! 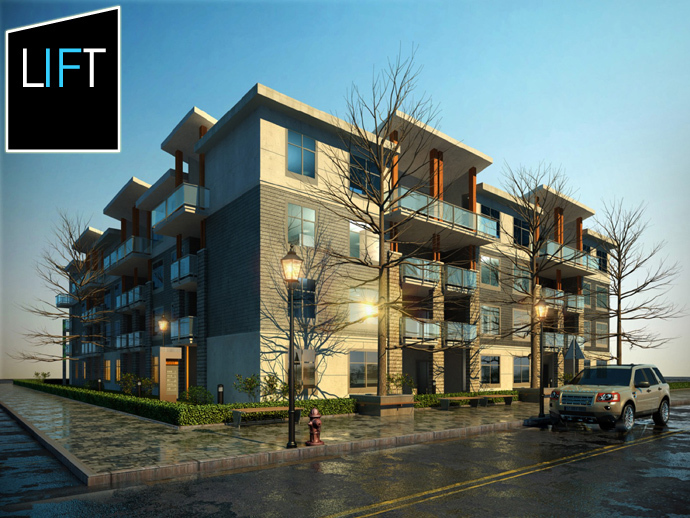 The new LIFT Abbotsford condos are brought to you by Blexo Developments and is located at Clearbrook Road and Mt Waddington Avenue Abbotsford real estate market! But best of all, not only do these truly affordable Abbotsford condos start from just $98,600, but the price range is from less than $100,000 to $259,900. Yes, that’s it. All suites are priced affordably under $260,000 here at the Abbotsford LIFT Condominiums by Blexo Developments. The sales centre is opening weekends between 12-5pm and weekdays except Fridays between 2-7pm at 2816 Clearbrook Road Abbotsford, very close to the project site. Also, this limited opportunity to own a Lower Mainland condo for less than $100,000 won’t last long as there are only 72 homes available at the new LIFT Abbotsford condo project. So that’s the only catch. Get in early, or miss this amazing opportunity to own at the most affordable Lower Mainland condo project in the past decade! Awesome. Check out www.liftcondos.ca today for more info. Previews are on now and the public grand opening is scheduled for late 2012. Don’t pay someone else’s mortgage anymore! Take charge of your own finances and invest in yourself at the new Abbotsford condos. If you thought that owning a new Lower Mainland condo would cost you an arm and a leg, think again! The new LIFT Abbotsford condos start from just $98,600, which represents about $167/month plus strata fees and property taxes (which is less than most car loans, and definitely less than what you are paying in rent right now). Not only that, but you can own a new Abbotsford condo with just a $4,900 down payment! Huh? Yeah, for less than $5,000, you can OWN a condo at LIFT Abbotsford real estate development. The most expensive unit is estimated to cost less than $260,000, which wouldn’t even get you a studio/bachelor in downtown Vancouver! Talk about great value! This is a perfect opportunity for first time home buyers and savvy investors to get into the market at last. Located off of Clearbrook Road on Mt. Waddington Avenue Abbotsford BC, the LIFT Condominiums is not to be confused with the LIFT at UniverCity in Burnaby’s SFU neighbourhood. These affordable Abbotsford condos are brought to you by Blexo Developments who have over 20 years of local building experience. LIFT Abbotsford presents only 72 homes for sale with a very wide range of great designs, floor plans (up to 16 unique layouts are rumoured to be previewing soon) as well as luxurious finishes. The homes range from junior one bedrooms all the way to 2 bedroom plus den suites and are priced between $98,600 to $259,900! Low prices doesn’t mean cheap finishes however! Here at the new LIFT Abbotsford affordable condos, home buyers will find ultimate high-end features that include such things as high-end stone counters, stainless steel appliance set by Whirlpool in addition to mosaic glass tiled accents and even wide planked laminate floors for most of the rooms. And with great mortgage rates, the new LIFT Abbotsford affordable condos can be had for about $167 per month. With the larger 2 bedroom suites, you can get away with just $600 per month. There is no other Lower Mainland real estate development that provides this kind of value or price point. And those numbers are based only a 5% down payment, which means that if you have more saved up, your monthly mortgage payments will be significantly lower. The smaller homes at the LIFT Abbotsford affordable condos are ideal for first time home buyers, professional singles and even investors. The larger two bedrooms are awesome for downsizers, upsizers as well as singles and couples. Blexo Developments has owned the land for a long time already, so there are no presales requirements at this project that allows for significantly reduced pricing, great mortgage rates and flexible down payments. So, WHAT IF you could own a new condo for under $100k? If you’re not one to make excuses, then you better act quickly. The LIFT Abbotsford condos are NOW OPEN. Love life. Live lift.